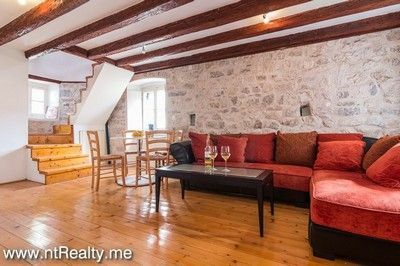 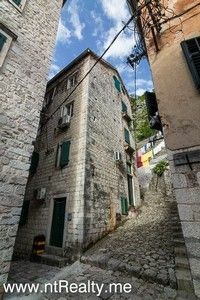 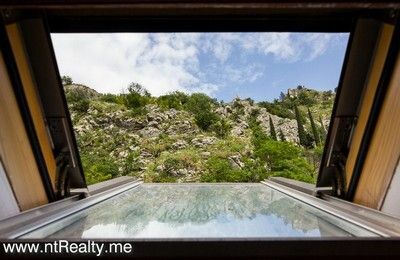 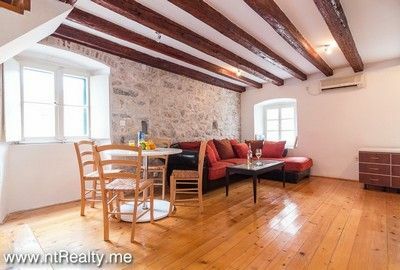 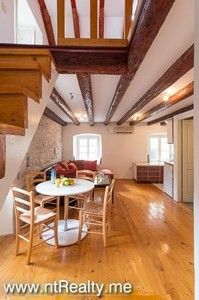 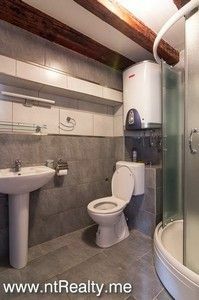 Tucked away in a quiet part of Kotor Old Town near the steps leading to the Fortress San Giovanni, this one bedroom apartment benefits from being recently fully renovated and is on 2 levels, giving you a great sense of space. 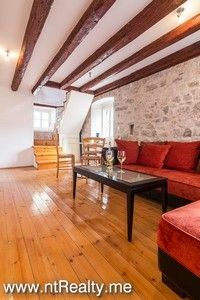 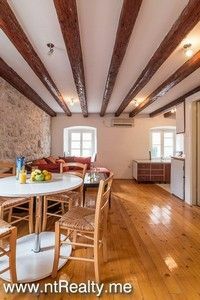 The old render on the walls has been removed to reveal the warm stone walls, this is complimented by wooden floors and the exposed wooden beams on the ceilings of the living room and bedroom. 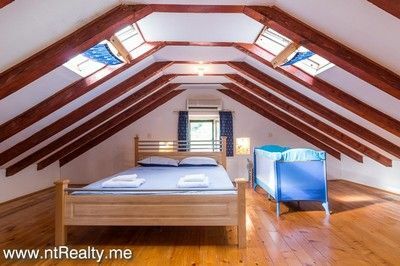 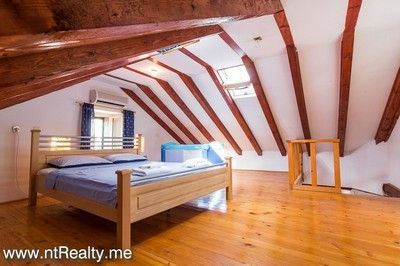 This is an ideal apartment for short-term rentals and will give you a reasonable yield of 5-7% on your investment.